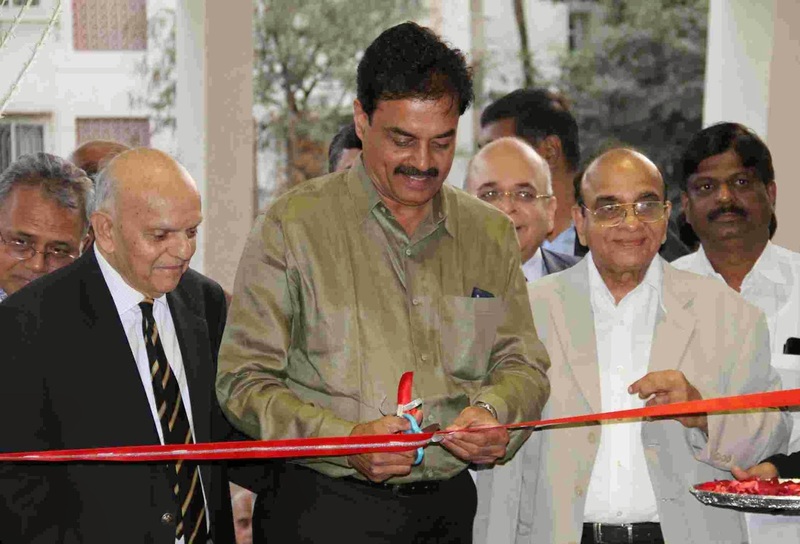 Feb 27, Mumbai: CLUB EMERALD SPORTS COMPLEX, a new generation, one-of-its-kind Indoor Sports Complex and Club, was launched on 25th February by the former Indian Cricketer Dilip Vengsarkar along with other leading dignitaries from the field of sports, fashion and business. Located in the Swastik Park area of Chembur, this will be one of the most modern, luxurious, state of the art clubs, having no parallels in the city. Congratulating the promoters of Club Emerald, Mr. Dilip Vengsarkar wished them all the best and expressed hope that the complex will encourage sports and sports people to come up in the future. “Sporting facilities are the need of the hour in a city like Mumbai,” he said. Part of the sixty year old Mehta Group having diversified interests in hospitality, construction, real estate development, financial services, ecommerce and agribusiness, Club Emerald is the group’s flagship project. “While conceiving the club, we focused entirely on luxury, modern amenities and sporting features. We wanted to offer the best of facilities to residents of Chembur, which is fast emerging as the new heart of Mumbai. The club will emerge as the pride of the city,” says Mr. Jashwant Mehta, promoter, Mehta Group. “The facilities have been developed as per International standards and are designed to offer a unique and satisfying experience to users. In line with the current trend of leading healthy lifestyles, the club will sport a well equipped Gymnasium, Spa and Saloon. The F&B facilities will include pure veg Fine Dine, Coffee Shop, Bar and Bakery outlets serving healthy, stress busting, lip smacking food and refreshments. The complex will also have exquisite Conference & Banquet facilities to cater to business as well as family occasions,” adds Mr. Mehta. Club Emerald has been conceived and developed with a futuristic vision and precision finish. Designed to win hearts and fill the void of a fully equipped sports and amenity centre in the central suburb, the club is expected to provide a unique, satisfying and exhilarating experience to its patrons. “The other key highlight of Club Emerald Sports Complex is its emphasis on sports. Besides facilities at the club, we also come with a strong technical know how and people skills. Besides sporting personalities who will be part of the consulting team, we also have former Indian Cricket Team Captain, Mr. Madhav Apte as part of the promoters,” concludes Mr. Jaydeep Mehta, promoter, Mehta Group.